Police Chief Robert Payne manages the Edgewood Police Department. He is assisted by Sergeant Susan Kaskie. Together, this staff represents nearly 50 years of police experience. 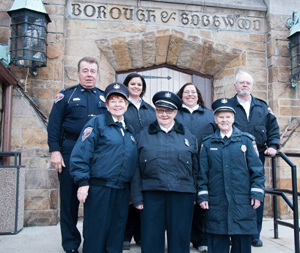 Edgewood Borough’s Volunteer Fire Department is capable of handling all types of emergencies and duties, from structure fires and Hazmat calls to public service details and fire education & prevention. Public Works is a key component in maintaining public infrastructure and in enhancing the livability and beautification of the community. Edgewood Borough’s Recreation Department boasts a year round sports program for adults and children, including youth and adult basketball, a youth soccer program, T-Ball and girls' softball, a running track, and modern playgrounds for family fun.